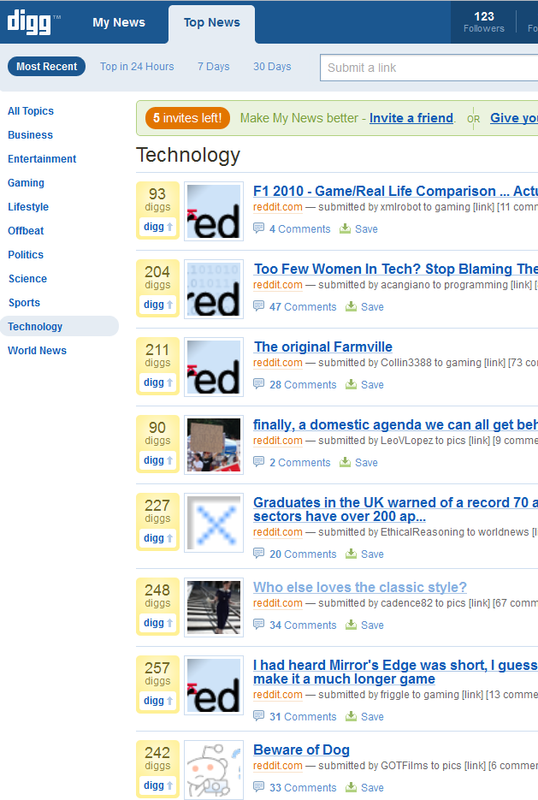 Why Is Reddit All Over Digg Right Now? The news page on Digg, and particularly the Technology category, is currently plastered with links to discussions and images posted on rival Reddit instead. 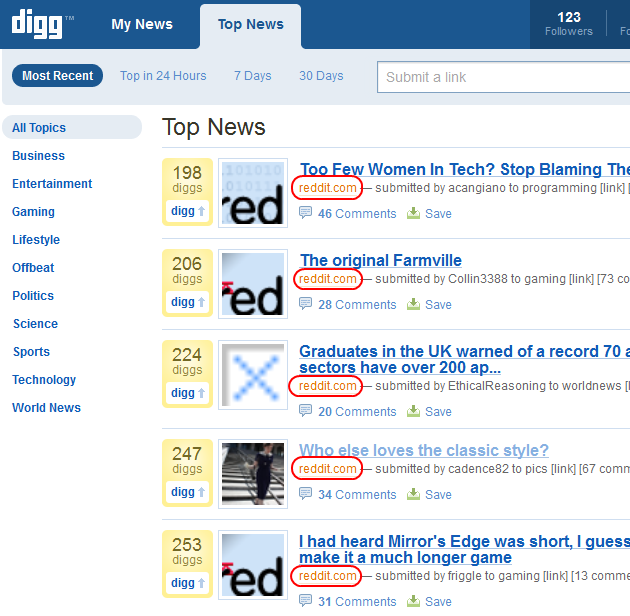 That’ll bring Reddit some traffic this morning, but more importantly it’s a bit of an embarrassing situation for Digg. The Next Web speculates that Reddit is ‘gaming’ Digg, but there seems to be something else at play here, namely (ex-)Digg users actively displaying their discontent with the recently launched new version of the site by using it to promote links to its competitor. We’re digging (wink wink, nudge nudge) into what’s going on here. Here’s a link to the relevant discussion on Reddit and here’s a link to their Digg publisher profile (those diggs are sure piling up quickly). Update: also check out the slightly revised Reddit logo. Update 2: as pointed out by many, the Reddit publisher account on Digg linked above auto-submits the RSS feed for Reddit content, so every dedicated discussion or image link URL automatically gets pushed onto the new Digg. Ironically, the new version of the site happens to make it very easy for publishers to get links to their content on the front page of the site. 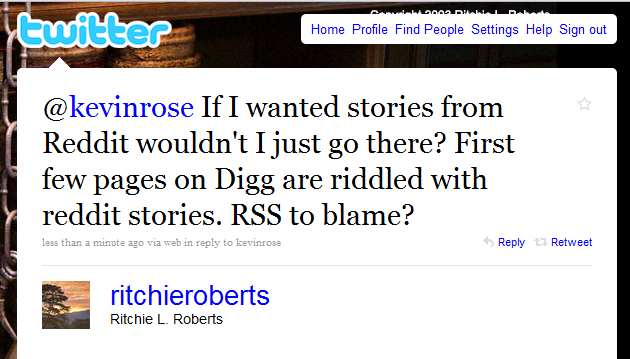 This is one of the main complaints Digg users / fans have with the updated version of the service.